A trendy backpack that's great for school, University and work. 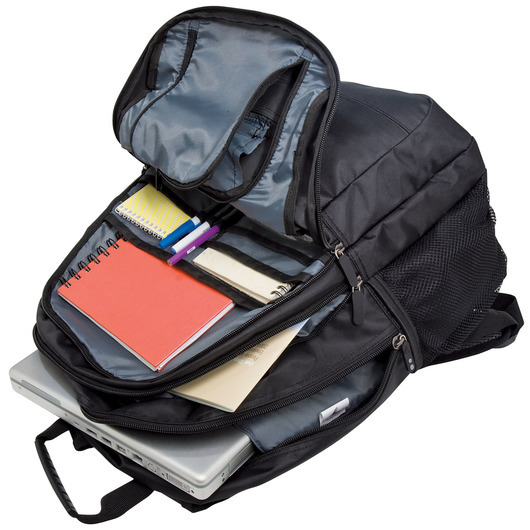 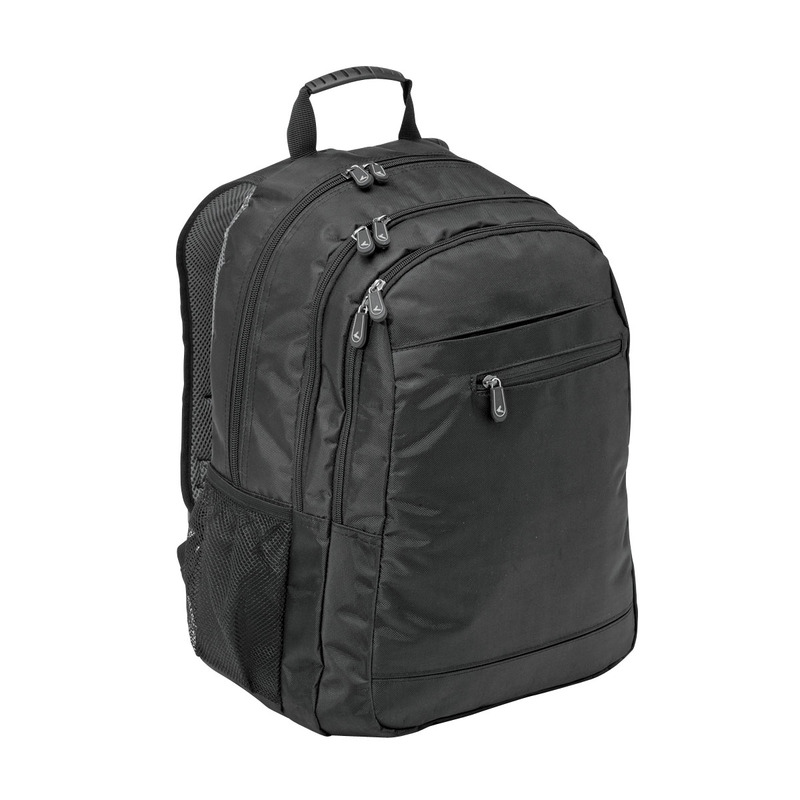 Made from sturdy 840D/600D polyester, this backpack features a front compartment containing an organiser and document slip pockets, as well as having enough room to hold a 15" laptop in the double zippered centre compartment! 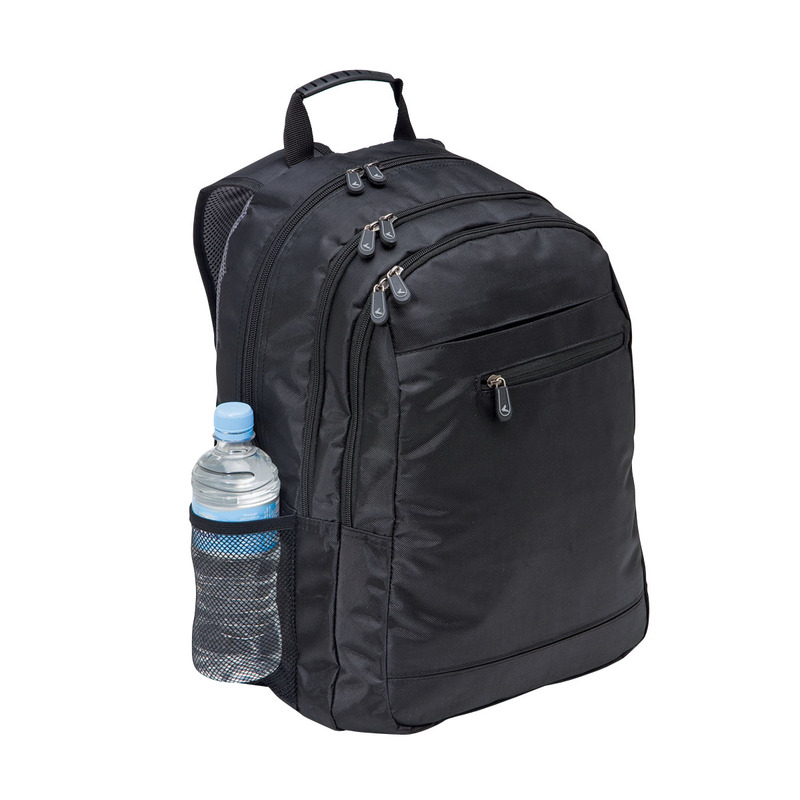 Other features include: Front single zippered valuables pocket, right side zippered pocket with gusset, elasticated top mesh pocket on the left, air mesh padding on the rear and on the adjustable shoulder straps, as well as an elasticated top mesh phone pouch.